I’ve been waiting for love. I’ve watched my closest family find their perfect match, and it’s made me realize my current boyfriend is not mine. When a stranger comes to town, I’m intrigued, but not ready to give up my newfound freedom. A whirlwind of events throws us into each other’s path, where I eventually discover I’m the teacher of his youngest sister. Concerned about Amaryllis’ reading, I take on the role of mentor to her. Soon I learn a lesson or two from big brother, Leon Ramirez. In a push and pull, we struggle as we each have demons in our past. A smart girl would never stay in a bad relationship. A gang member could never want more from his life. As I learn to fight for love, I find that words do matter. Sometimes they can hurt more than sticks and stones. Sight Words is the final book in the Sensations Collection and I have to say, I’m sad to see this series come to an end. Reading Tricia’s story was bittersweet as we got to see the entirety of the Carter and Scott families reveling in their happily ever afters. Throughout the previous books, I had wondered why Tricia was involved with Trent. Their relationship seemed one-sided and devoid of any significant depth. After everything she’d done for everyone else, she certainly deserved her own great love story and L.B. Dunbar did not disappoint. Sight Words was probably the biggest surprise of the series, overcoming cultural and social differences with Tricia and Leon. Their journey was not without difficulties, but their commitment to understanding each other and their unconditional acceptance of one another was undoubtedly beautiful. Tricia has had me curious for a long time and I was so glad when I found out that this book would be her story. I adored getting to know her kindness, patience, and generous heart throughout Sight Words. The character growth that L.B. Dunbar has orchestrated is fantastic, taking a compliant and quiet Tricia and evolving her into a strong and confident woman. She has a lot more to overcome than I had expected, but Leon was the perfect companion for her journey. Leon had a lot to learn about himself as well, and the challenge they presented to one another was just what they both needed to thrive and grow. The connection between Tricia and Leon was undeniably fierce, persisting despite their best efforts to push each other away. L.B. Dunbar has created a very special spark between these two that had my heart breaking and soaring as I experienced their journey. From the beginning, L.B. Dunbar has made sure that the Sensations Collection was more than just a singular journey of love. This series has always been about the family as a whole and Sight Words perfectly embodied this feeling. Not only do we get a glimpse of all of the previous couples, but we also get to explore Leon’s unconventional family situation as well as the sense of family created for ourselves through our close friends. Sight Words felt like coming home. L.B. Dunbar delivers the Carter/Scott clan at their best, constantly demonstrating their protectiveness, loyalty, and absolute love for one another. Leon’s past and uncertain future pushed our favorite family to open their hearts and minds in unexpected ways, revealing this family’s true capacity for love. I will miss this crazy little town and the vibrant residents whose stories I have enjoyed so much. 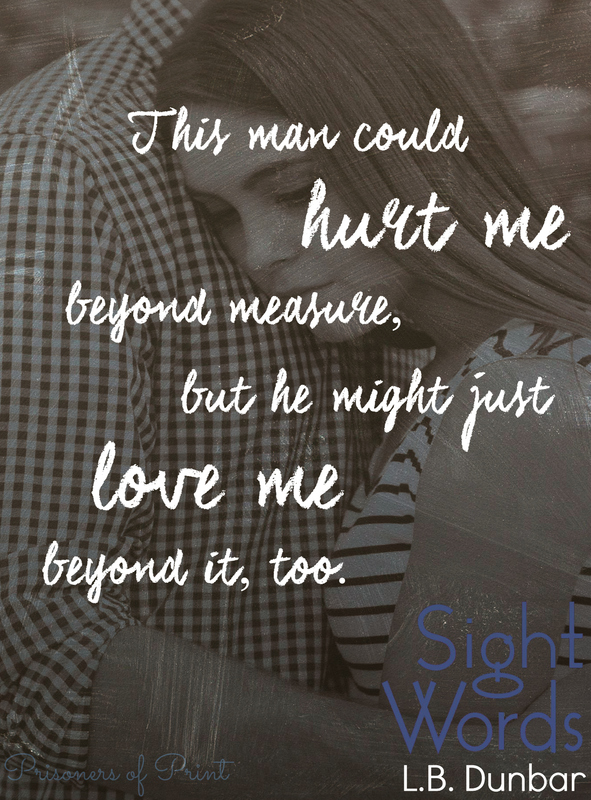 Sight Words is a satisfying and emotional final novel for the Sensations Collection. L.B. Dunbar loves to read to the point it might be classified as an addiction. The past few years especially she has relished the many fabulous YA authors, the new genre of New Adult, traditional romances, and historical romances. A romantic at heart, she’s been accused of having an overactive imagination, as if that was a bad thing. Author of the Sensations Collection, Sound Advice, Taste Test, Fragrance Free, Touch Screen, and the upcoming Sight Words, she is also author of the Legendary Rock Star series, beginning with The Legend of Arturo King. 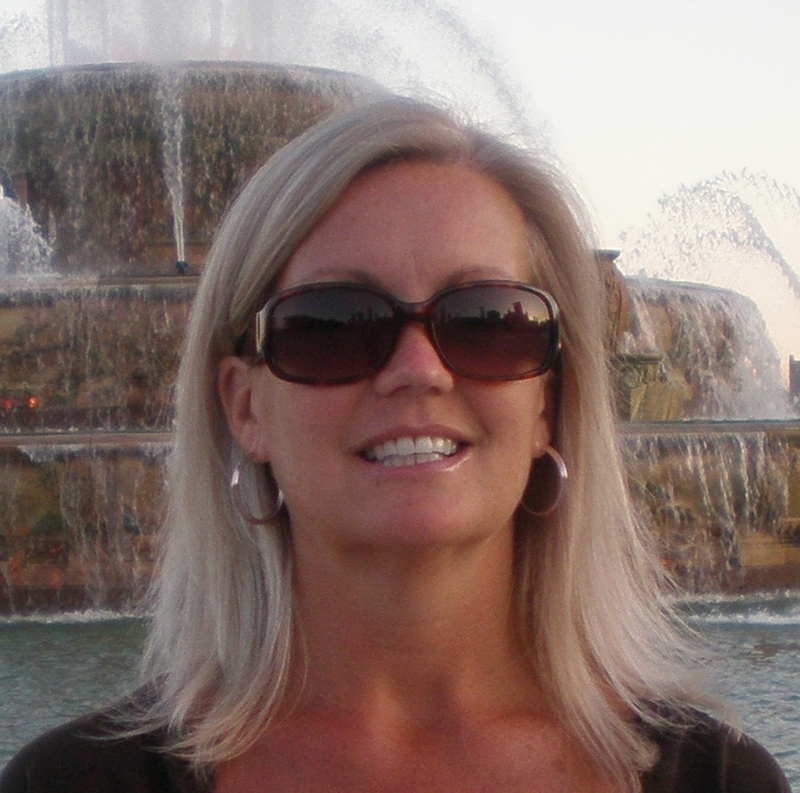 She grew up in Michigan, but has lived in Chicago for longer, calling it home with her husband and four children.